We definitely saw the positive difference in Jaylen Brown's game from his rookie season to his sophomore campaign. He made strides in most areas, not just his minutes on the court. He may be poised to have a break-out year. 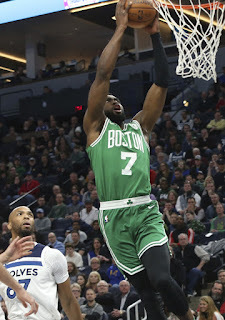 In my interview with Celtics TV broadcaster, Brian Scalabrine, The White Mamba made a cautious analysis of Jaylen's ceiling, and while being careful not to intimate Brown would match Jordan's performance at any stage , he did indicate some similarities in the games of both players. 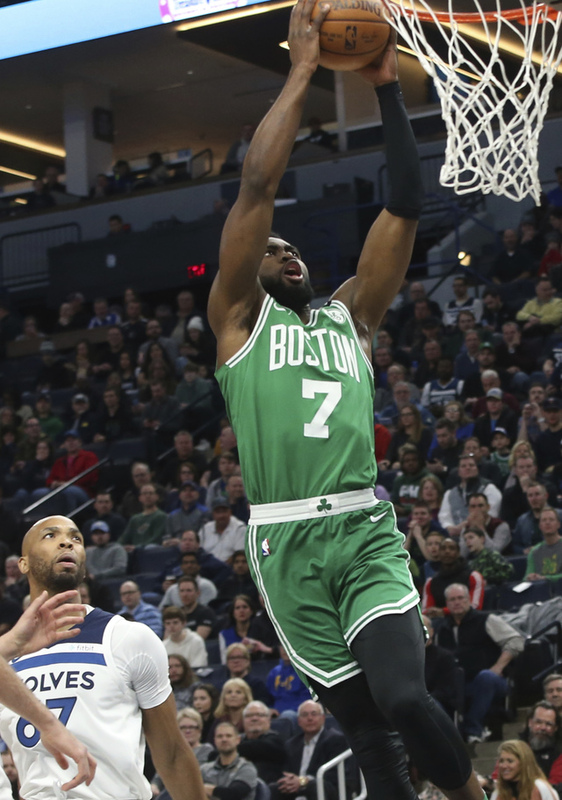 Scal admitted that he certainly doesn't see Jaylen as another Michael, but the way Brown moves and plays generally mimic some of the things that Jordan could do. Brian said that Jaylen can be more of his own version of Jordan. Scal's exact words to me can be found below. At the basics, Jaylen is a superb athlete, with a strong, stable mentality. He is working on various phases of his game this summer which should be evident this coming season. He almost certainly will not reach the level of Michael Jordan, but, as Scal stated, "his version of Jordan" may just be good enough to help get the Celtics to the Finals and beyond.